Ms. Cupcake » Ms. Cupcake Scoops ‘Best Independent Groceries Retailer’ at the Dot London Awards! 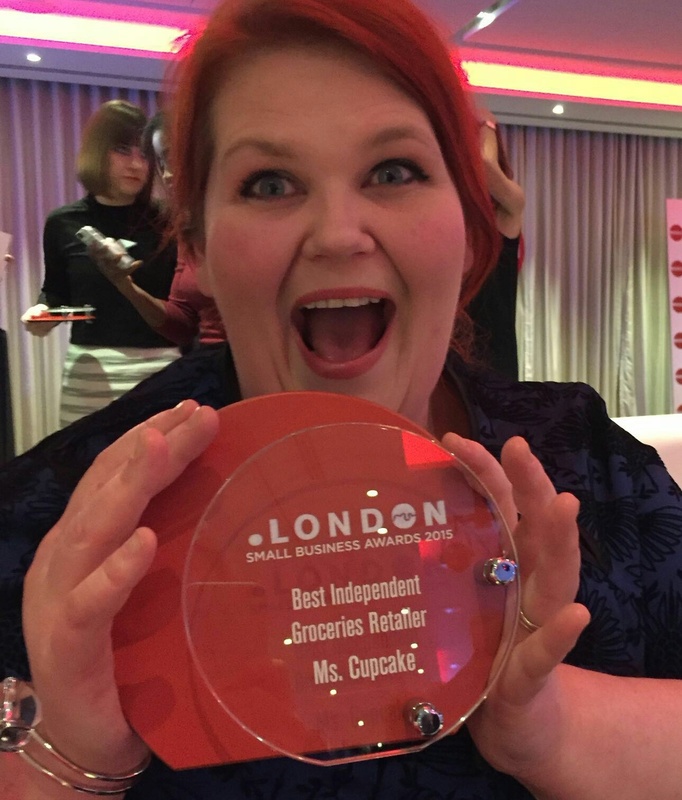 Ms. Cupcake > News > Cupcake News > Ms. Cupcake Scoops ‘Best Independent Groceries Retailer’ at the Dot London Awards! We did it! We are very shocked and pleased to announce that we have won ‘Best Independent Groceries Retailer’ at the first Dot London Awards. This means so much to us as the winner was decided by public vote – so thank you for all your support along the way! As winners we have been offered amazing help to grow the business from Dot London and partner UK2. Ms. Cupcake is London’s first entirely vegan bakery which specialises in creating cakes suitable for a range of diets, allergies and intolerances. Our shop in Brixton is open seven days a week. We also sell a range of cupcakes at all Whole Foods markets, and deliver across the UK! This entry was posted on Thursday, February 4th, 2016 at 5:38 pm and is filed under Cupcake News. You can follow any responses to this entry through the RSS 2.0 feed. Both comments and pings are currently closed.